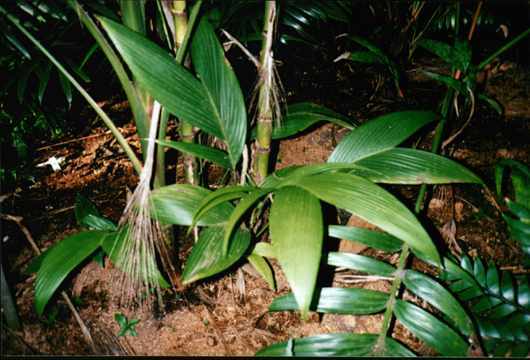 Description: - Lovely clumping understorey palm with green bamboo like stem leaf regularly pinnate. And fruits quite easy. Grows very well in subtropics and would grow in Sydney and maybe further south. Growing Climate: -Likes a shady position mulch and fertilize once a year. Temperatures from 0.C to 35.C.